Sawing logs never has been so effective. 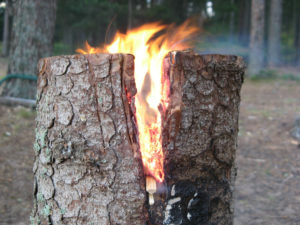 If you have a saw and a log, you can make a Swedish Torch. It’s that easy. The Swedish Torch (otherwise known as Swedish Candle or Swedish Stove) is a campfire method that is multifunctional – allowing you to cook, light your campsite and stay warm on chilly nights. This method of campfire building allows you to set it and forget it, making it a nice option for a fire pit. The torch, once established, will burn slowly from the inside out – creating that nice, low/no flame, high heat that’s perfect for roasting marshmallows. 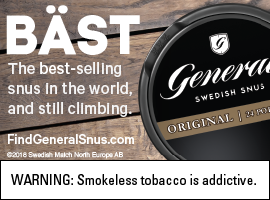 With the rudimentary techniques used to make a Swedish Torch, it’s hard to trace its origin, but a popular theory noted by Survivalist 101 is that this method started during the Thirty Years War, which began in 1618. If it worked for soldiers on the battleground, it can work for you on your next camping trip. A bonus is that you only have to haul one log. Do your prep work at home and load it with your other cargo, and you’ll be good to go. 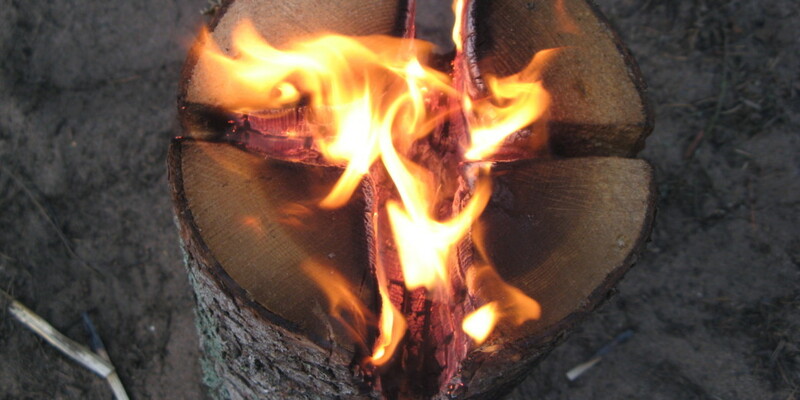 Find a log that’s about a foot in diameter, dried out and primed for burning. You’ll want to make sure it can stand up on its own. Using a saw, chainsaw or ax, cut an asterisk shape in the top of the log, cutting through about three-quarters of the way. Lifehacker points out that this pattern allows the proper air flow and ventilation needed for fire to continue burning without getting choked out. Note: If you have a smaller log, you probably don’t need five cuts. You could get away with three or four. Now, ignite. DIY Network suggests dropping in some sawdust in between cuts, but just a handful of kindling at the top should be all you need to get the torch burning. Once you master the basics, you can try Survivalist 101’s riffs of the method, like drilling a single hole in the middle of log – same concept, different execution. When the fire is self-sustaining, use the top of the log as a flat cooking surface. That’s a surefire way to get some happy campers!